The Slidewalker tm, is a handle that when attached ot the cord or belt of a retractable leash allows the person walking their pet the use of both hands to control and safely secure the animal, by doing minimizes the potential for seriuos injury to the hands, legs and other parts of the body. It turns a retractable leash into a conventional leash making a perfect training lead. Made of injected molded ABS pleastic it's an inexpensive product to produce and can be made in many shapes and sizes ie. bones. I have posted a youtube video which can be viewed by searching youtube jtmpetproducts. 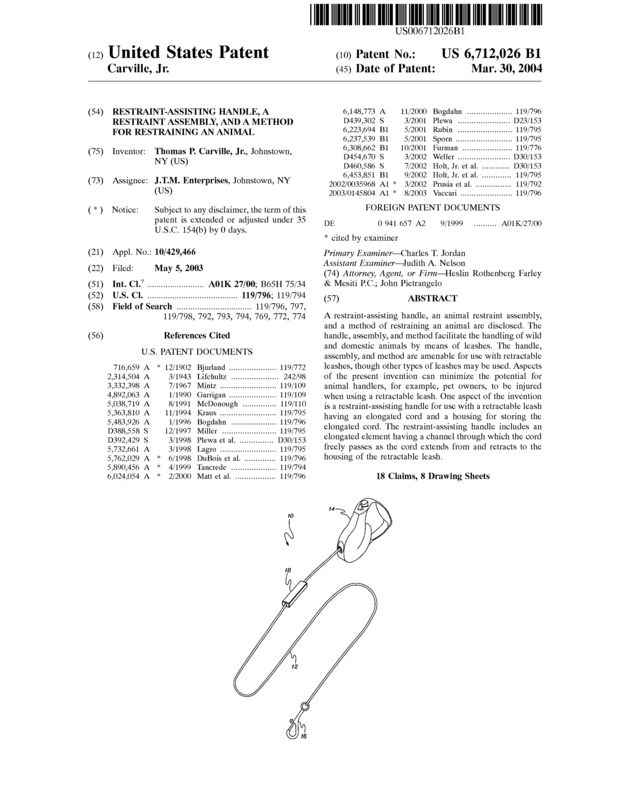 Page created at 2019-04-25 14:04:18, Patent Auction Time.